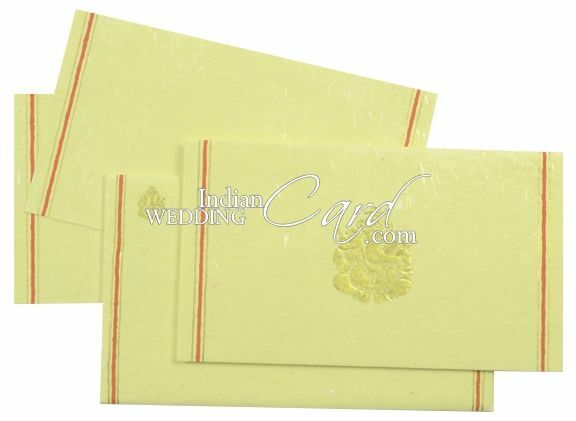 D-85, Cream Color, Handmade Paper, Hindu Cards. 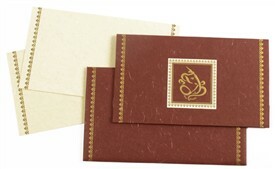 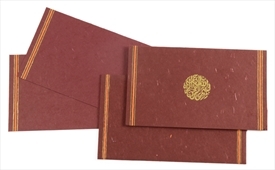 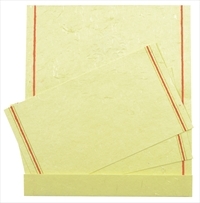 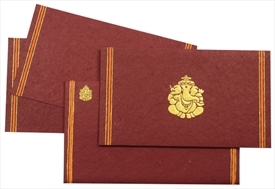 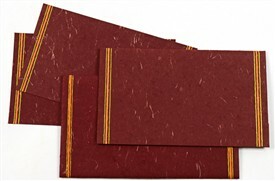 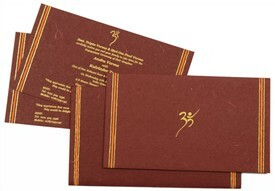 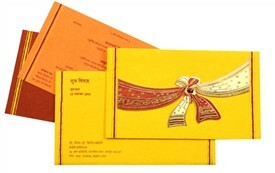 A traditional folding card design in yellowish cream handmade paper with red and golden line borders on each side of the front and a self-embossed Ganeshji in gold at the center. 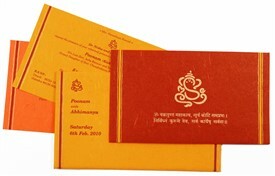 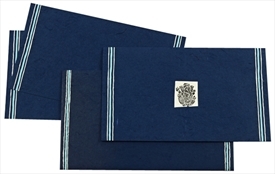 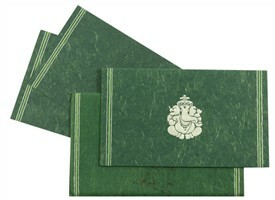 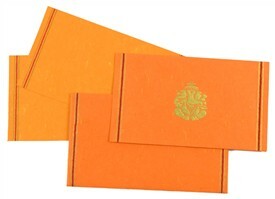 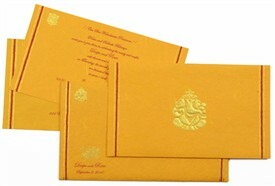 The inner fold has the same borders and the inserts follow the tradition religiously. 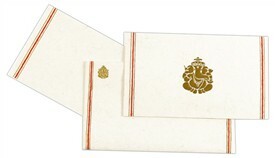 The envelope too has similar border design.